All of our teachers are passionate about music and the development of children. Our instructors are Registered Music Together®® teachers, having completed a 3 1/2-day Teacher Training given by the Center for Music and Young Children (CMYC), Princeton, NJ. We are committed to excellence, regularly attend additional trainings offered in our area and in Princeton, and work closely together to benefit from each other’s expertise. They create a fun, informal, social setting that spurs engagement and supports each child's musical development. Click here to see some fun pictures of our teachers, then and now. Each of our teachers grew up with a love of music. 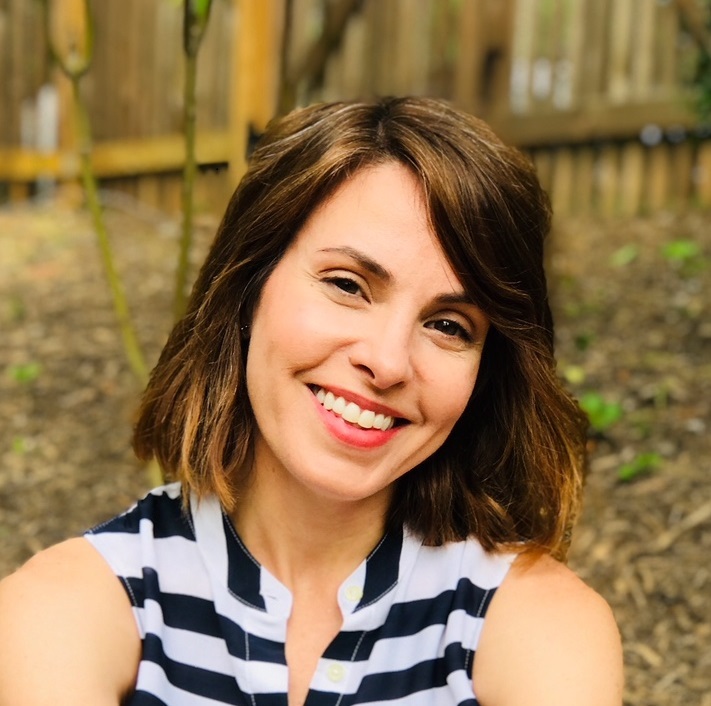 Linda Criscitello (Center Director) earned a bachelor’s degree in Theatre from the University of California at Irvine and a master’s degree in Deaf Education from Gallaudet University in Washington, DC. She has tap danced since the age of three and has kept on dancing to enjoy a musical theatre career touring in such shows as 42nd Street, West Side Story, A Chorus Line, and Singin’ in the Rain. In 1996, Linda's first child was born and her husband's job moved them back to NYC for four years. She attended a Music Together class with her son and loved the program. She taught for two years there and and then opened her own center in Vienna, VA in January 2002. Music Together of Vienna (now Music Together Sing and Groove) began with 24 families and has now grown to serve over 200 families. Linda says, "Even more valuable, at times, than my theatre background, is the on-going training I receive as a mom of three". Linda also teaches tap at Vienna’s Cuppett Performing Arts Center to kids 7-15 as well as to a lovely group of women called the Diamond Tappers (ages 85-88). She feels truly fortunate to spend time every week singing and dancing with people ages newborn - 88! Gail Browne earned a BA in Music Education from the University of the Pacific Conservatory of Music in Stockton, CA and an MA in Music Education, University of Washington, Seattle, WA. 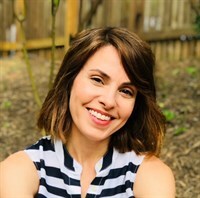 A credentialed K-12 Music Specialist, she has taught music for several years in public schools in addition to private instruction and Music Together classes. Gail is the mother of three boys and is an ACE certified group fitness instructor. She is thrilled to facilitate people enriching their lives through music-making and fitness classes. Jennifer Nickl holds a B.F.A. in Acting from New York University’s Tisch School of the Arts. As a child, she sang and danced around the living room while her father played guitar. Since then, she has worked as a performer, stage manager, theatre director, and has even worked on Broadway as the Production Assistant ofThe Secret Garden. After becoming a mother of two, Jennifer was excited to find the Music Together program. 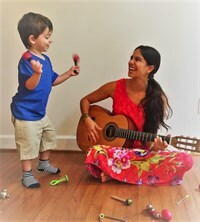 Upon realizing that much of her time was still spent singing and dancing around the living room, she gladly embraced the idea of becoming a Music Together teacher. Jennifer loves sharing her musical skills and dramatic experience with families and making Music Together! Music has always been central in Anne's life. She began piano lessons at 7, and bassoon lessons at age 12. She performed in piano recitals, church choir, school band, county orchestras, and church musicals. Anne received a BS in Computer Science with a minor in math. She worked in the business world for over 20 years, all the while continuing to play the bassoon and singing in the church choir. After her children were born, she began leading the children's music program and the Vacation Bible School music program at her church, then transitioned to teaching preschool music and movement classes. Anne taught preschool music for five years and during this time completed the Music Together teacher training, incorporating the training into her preschool music classroom. Anne enjoys teaching music with Music Together Sing and Groove! Ramon Bonzon grew up playing in his church worship band and leading children’s music. As a singer songwriter, he was in a professional rock band in Chicago for over 15 years. After participating in Music Together with his family for several semesters, he felt drawn to share his music skills with other families. Ramon and his family reside in Reston. 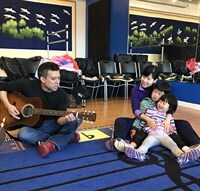 Music Together has been key in bridging his love for music and developing community with his own children and other families. He understands that introducing music to children at an early age is key to their development and leads to a lifetime of music appreciation. Ramon holds a Master’s in Public Health and works to improve the health of adolescents and young adults. He is excited to make music with our Music Together Sing and Groove families! Romi has always delighted in singing, dancing and moving—really in the complete joy that music brings! She plays the guitar and has taken part in vocal groups and choirs. She also enjoys ballet and jazz dancing and writes songs, rhymes and stories for children. Romi is a certified PE teacher from the ISEF R. Brest, Argentina, a certified teacher of English from St Trinneans University College, Argentina and has a Licentiate in English Language from Universidad del Salvador, Argentina. She loves working with children and has 12 years of teaching experience in both pre-school and elementary school. 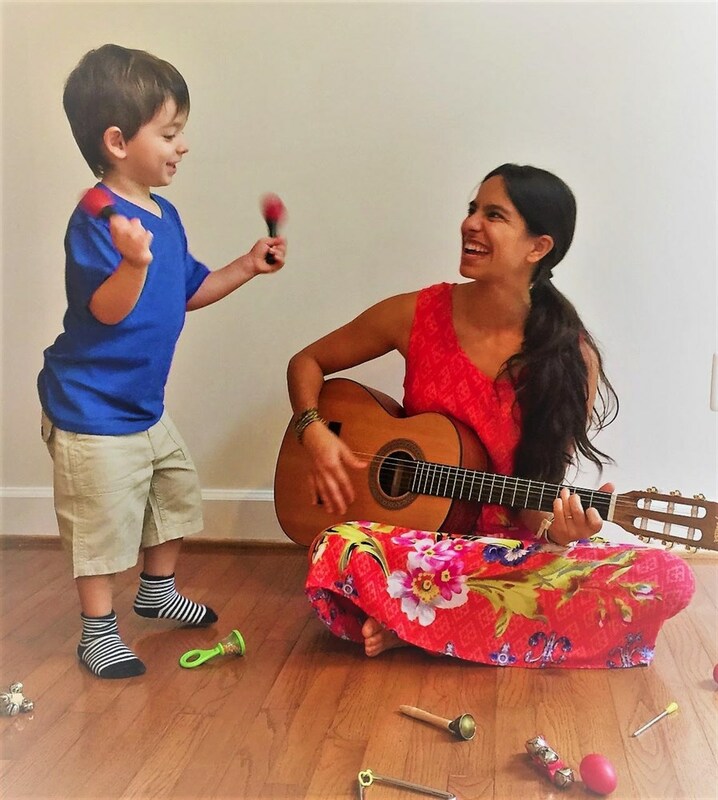 As a mother of two boys, she discovered the wonderful Music Together program and she is so excited and eager to share her love for children, music and movement in her Music Together Sing and Groove classes. Janelle is excited to join the Music Together Sing and Groove “family". She obtained a liberal arts degree from the College of Charleston with a concentration in Theatre and Music Theory. She has been singing and acting since the age of three and has performed a variety of roles on the repertory stage, in regional theatres, and on television. One of her greatest pleasures, however, has been sharing her passion for movement, make-believe and music with her young daughters and the children within their playgroup and preschool cooperatives. After discovering the Music Together curriculum for her own family, Janelle feels compelled to share the joy it offers with other children and their grown-ups.